Meds Biotech CBD oils are high quality, non-GMO, THC-free and made in the USA from organic pesticide-free hemp. Harvested from their own farms, constantly quality tested, CO2 Extracted and lab tested for consistent potency. 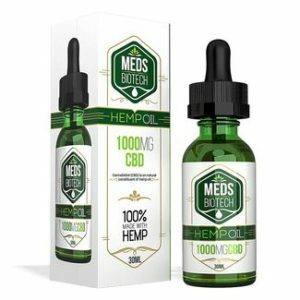 30ml size bottle with 1000mg or 1500mg CBD dosages.